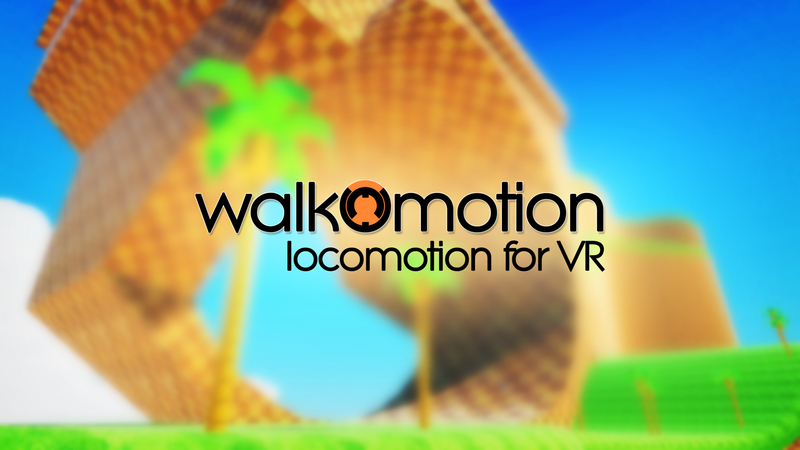 The VR locomotion system uses head tracking to allow you to physically 'run' through the game. 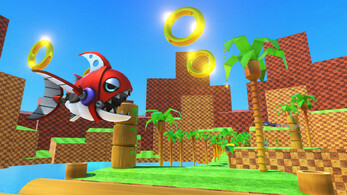 This game is a full rebuild of the first level of the original Sonic The Hedgehog for Megadrive. The movement system allows you to physically walk, jog, run and jump within the game, I first released a Mario Bros game with it, now I've adapted it for Sonic! 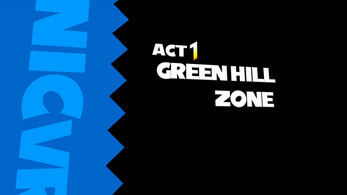 The original Green Hill Zone Act 1, built from scratch for VR. 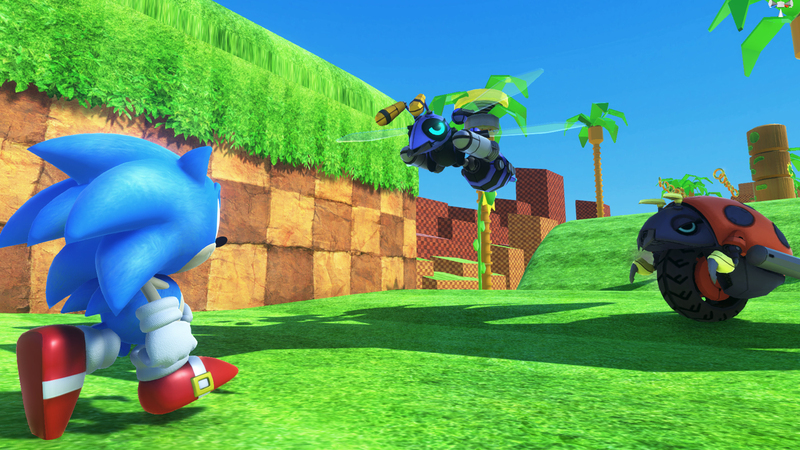 The ability to physically run as sonic. No harnesses. No restrictions. No giant omni-directional Treadmill! The best version of Nostalgia. Game now running both SteamVR and Oculus! I'm constantly looking for ways to better this system so I will try to expand and implement any suggestions from the comments! This game has so much potential for the Walk O motion. Like wow, I can't believe I don't need anything but to jog in place to move foward. That is absoutley amazing! I'd love to try this out, but when i jump in, it makes me spin in circles for no reason @_@. Like if i was spinning in an office chair. I'm using an Oculus btw. EDIT: Found out the reason. vJoy likes to mess with programs and throw in a joystick input for no reason. Just deleted that and the problem went away. 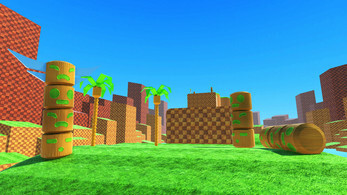 Very cool game! I've followed all the instructions for the Vive. Added the game to Steam VR library and run it from Steam VR. The moviment controls were mapped to the left analogstick and the jump was mapped to down on the right analogstick. Tested on Samsung Odyssey WMR. Jumping doesn't work on Vive so it's unplayable. No matter what I press and if Vive mode is turn on in first screen- jumping doesn't work. Switch Vive mode on in the menu then you touch 'Down' on the Right hand Touchpad. You have to set your height right, press reset while standing first, and when pressing Down you have to do a bit of a hop to jump. You can move around in the menu, run around, jump, so you can test it there and then. I think there might be some problems with the jump on vive still. i just tried it, and it seems to work sometimes, but not always. maybe there is a specific way to do it, but that may be unclear. For some reason i find it much easier to jump in the menu than in the level. Also, some parts are nauseating, specifically the first part where there is a rounded hill you run up against. if you mess upp and have to do it slower or stop in the incline, the camera turns upwards almost 90 degrees which causes the nausea. Yeah I've been trying to solve an issue with Walk-O-Motion where framerate affects speed, that includes the head tracking, therefore the jump speed. This is now fixed but a lot of Walk-O-Motion was redone. Right now I'm working on this Mario project, and I'd love to do more Sonic, with much more reliable mechanics but I need to start spending more time on my own projects, and time is something I don't have much of. 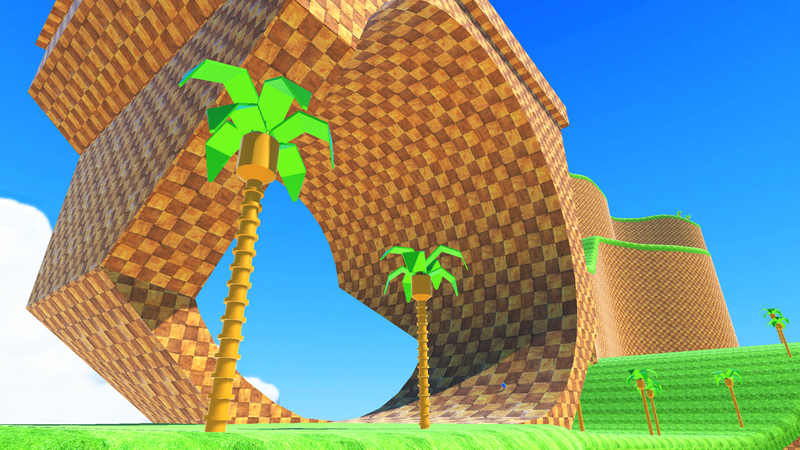 The tilting problem is sort of native to Sonic mechanics, mine are not too good, I could definitely do much better now anyways. I'm unlikely to update this right now, I don't have a Vive, and Oculus is set up a bit awkward in SteamVR so my tests are completely pointless. Once I get a Vive and a bit of time, I'm going through these older projects and getting them fixed up. I really really want to play this on my DK2, but I don't have motion controllers. Is there any way to select the menu items to get into the game with just an xbox controller? There is no point me going backwards to build a system that literally only one person will play. That's how I made the Mario Bros. demo, I had to because I didn't have hand controllers, but I was severely limited and I even had complaints about not being able to use hand controllers. I can't work on a massivley inferior product now that I can finally do what everyone else has been able to for 2 years! First of all, thanks for your response! You make a good point, the xbox controller + DK2 is way outdated and there are very few people who use it, but as far as I can tell, the motion controllers only function is to select menu items on start up. Unless the motion controllers are used in conjunction with the positional tracking I don't see why there isn't at least a text file or equivalent that I can edit to change the settings and start the game. As of right now all I can do is run around the void with floating menu options. There is a lot more involved than you think. Body tracking is done between the Hands and Head, Direction is controlled relative to the hand. The reason you didn't hear much about me 2 years ago when I started this locomotion system is because not having Hand Tracking made the whole thing incredibly weak. Hand tracking is Necessary... I do not use head direction for movement, I Never did, not even before I had hand tracking. Ok that makes a lot of sense! Thanks for clearing that up! Buddy... I'm pretty sure I've told you this on another page, stop posting a bunch of different comments related to the same thing. Use the EDIT or REPLY button!!!! I'm going to leave this comment and delete the previous one to keep it neat. Do not post a completely separate comment if you're replying to this comment chain, it's really annoying! Sorry if it sounds harsh, but seriously, it's really really annoying. On to the issue, movement with this system relies on a very different motion to what anyone is used to. You have to bounce like you would naturally when walking, doing it in place is a bit weird, but once you get used to it, it becomes really easy. To jump on a Vive controller, first you have to make sure the Vive Mode in the In Game Settings Menu is switched ON. If it isn't I don't know what the button will be, I can't test it because I don't have a Vive. Then you hop nice and speedy, no need to go really high, no need to even lift off the ground if you can tip toe quickly. 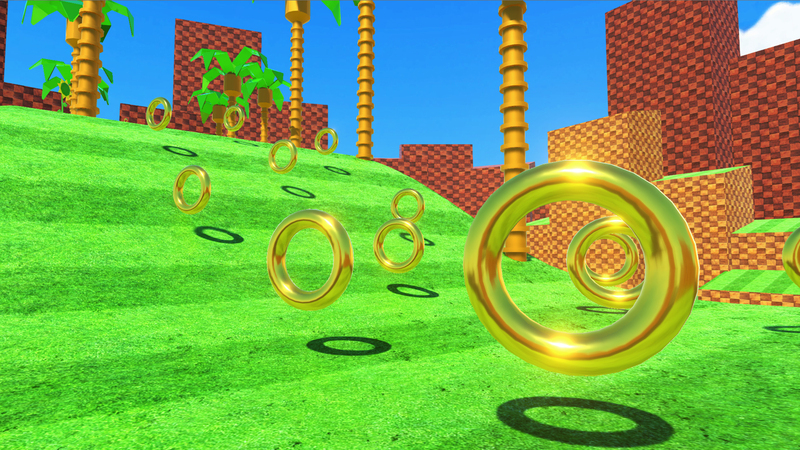 SORRY...Sonic vr is now working perfect thanks... 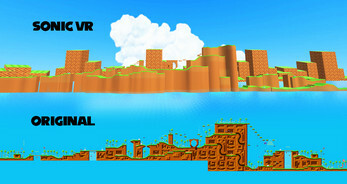 Does mario vr working on vive???? I don't have a Vive so I can't test or guarantee anything. The Vive-Mode changes jump to the *Direction* Down on the Right touchpad. Make Sure you have the Height setting correct and reset when standing naturally straight, otherwise jumping will fail! Well I found that very entertaining. 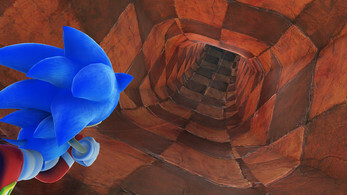 And I would love to record more when more is made, please let me know how it goes...loyal fan of sonic for years. I would recommend you put this on gamejolt too, if I see it there I will support it. any way you could add a turn off spinning when you duck option? My little guy is so short that no matter what Height I set it at he was always spinning and couldn’t play. The limit was actually 0.5 meters, I've turned it all the way down to 10cm. Update also adds Vive fixes and snap turning. If you still have trouble, set a height that's higher and then just press reset with the headset at his standing height. The game doesn't calculate crouching from the height of the headset, the pivot point is always where you reset, that's why you have to stand straight, otherwise it just moves the floor relative to your reset. You didn't really need the update for it, although it would still mean that he's sort of hovering above the ground that's all. Hmm... try the menu buttons? You can check the config files in SteamVR and modify what the Oculus A button maps to on Vive. I haven't got a Vive so I can't figure it out. I updated it, you can switch the jump button to Touchpad down now instead. (vive) Whenever I start the app my view keeps spinning counterclockwise... Any ideas as to how I might fix it? You probably have some other Game Controllers connected. Disconnect any other controllers, should fix it. I'll try and solve the problem later. So I'm completely new to the itch desktop version, but it says "Not available for Windows" where I assume the download button should be. Something I'm doing wrong or is it on your side? I completely forgot to check the Windows checkbox! SEGA will not allow you to include this in a VR arcade. I will be creating more experiences, with an intent to put my Walk-O-Motion system in a fully fledged VR shooter, which of course I would consider a deal with you guys when that happens. SteamVR now working in the game... Possible Jump button issue, can't test myself! I'll work on it and figure it out. The next demo is Halo! Vive user here. I would like to try this out! :D Looks fun! Also got to add collision to the End Capsule, I completely forgot that!